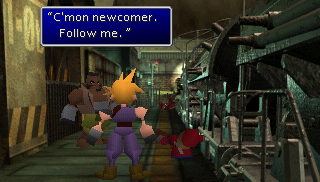 After its beginnings as an rpg title for the PlayStation back in 1997, Final Fantasy VII has branched to become a franchise that spans multiple mediums. The total sum of these polymorphic titles goes under the heading “The Compilation of Final Fantasy VII”. This franchise guide is written so that even newcomers can get a clear picture of the full scope of the titles that make up the official FFVII lore, canon and non-canon, as well as the many music albums, guide books & products related to it.